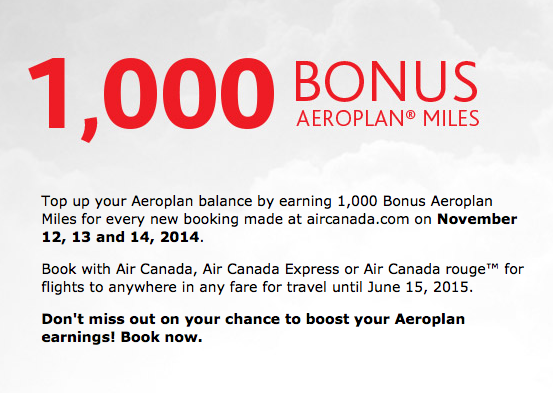 Air Canada has launched a 'flash' bonus offer for bookings made online at aircanada.com. The offer is for 1,000 Bonus Miles and is good for any and all bookings made by 11:59pm EST on November 14th for travel until June 15th. Bookings on both the Canadian and U.S. versions of aircanada.com count so you may want to push your booking up if you have been contemplating purchasing some Air Canada flights.